LAHORE: After days of strong protest and resignation from the party, disgruntled women wing president of PTI Fauzia Kasuiri met party chairman Imran Khan at his Zaman Park residence in Lahore. 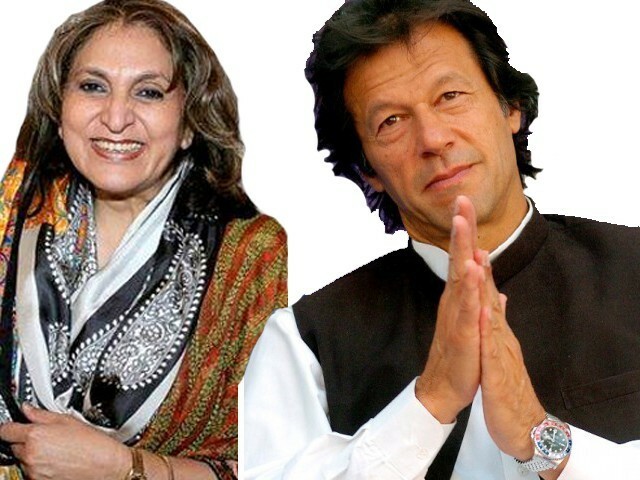 Sources in the PTI said Khan has asked Kasuri to reconsider her decision to leave the party. Kasuri in a message on social networking website Twitter said: "I met IK tonight in Lhr. Mashallah, he is looking good and getting better." This followed her earlier tweet from yesterday in which she had dispelled speculation that she was joining another political party. Sources have confirmed that the matter of her resignation from the party also came under discussion during the meeting. Khan has asked her to reconsider her decision and withdraw her resignation. Another meeting between Khan and Kasuri is expected to take place later today. Kasuri had resigned from PTI two days ago, citing 'unjust' distribution of party tickets on reserved seats for women. She was ‘ignored’ by the party on the issue and tickets for the seats in question were awarded to Dr Shirin Mazari and Munazza Hassan, prompting Kasuri to leave the party. The PTI on its official website had subsequently accused her of violating party discipline.